Once again, it’s almost time for Loyola students, faculty, and staff to take leave campus for winter break. As in years past, let’s take a look at Loyola students celebrating Christmas throughout the school’s history. These photos and more like them can be found in the University Photographs Collection in the Louisiana Digital Library. Have a wonderful break, and come visit Special Collections & Archives in 2015. The Special Collections & Archives Assistant collaborates with library faculty and staff in Special Collections & Archives duties, including reference assistance, processing of collections, digitization, exhibit preparation, and preservation activities on a part-time basis. The ideal candidate will demonstrate skills in project management, customer-focused service, team collaboration, and have an interest in archival description and digitization. The position is temporary, and expires in December 2015. Qualifications: B.A. degree, or equivalent; excellent interpersonal, communication, and writing skills, with clear evidence of ability to interact effectively and cooperatively with colleagues and patrons; ability to work productively in a team environment; computer skills in an online, multi-tasking environment; high degree of accuracy and focus concerning complex, detailed work; collaborative and creative problem-solving ability; ability to manage multiple projects in a time sensitive environment. Highly desirable qualifications include at least two years of library or archival experience and/or MLS; experience working in an academic library; experience with digitization and/or exhibit preparation; experience with online collection management system, such as ARCHON. More information is available on the Human Resources website. 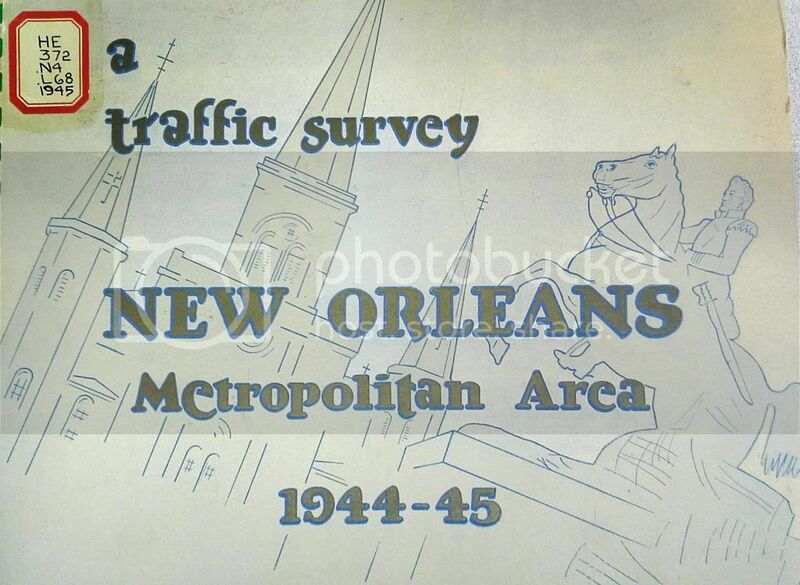 Our how-to today is inspired by A traffic survey of New Orleans metropolitan area, 1944-1945. This report located in the stacks of our Special Collections & Archives was produced in a time before I-10 existed and when the main airport for New Orleans was located on Lake Pontchartrain. Be you on foot, driving a car, biking or taking a city bus… Traffic (and getting stuck in it), is (and was) inevitable. Whether it’s the junction of I-10 and 90 around the New Orleans landmark, the Superdome, trying to get ANYWHERE during Mardi Gras or navigating the overcrowding of cars and shoppers on Magazine Street…. Everybody gets stuck in traffic. 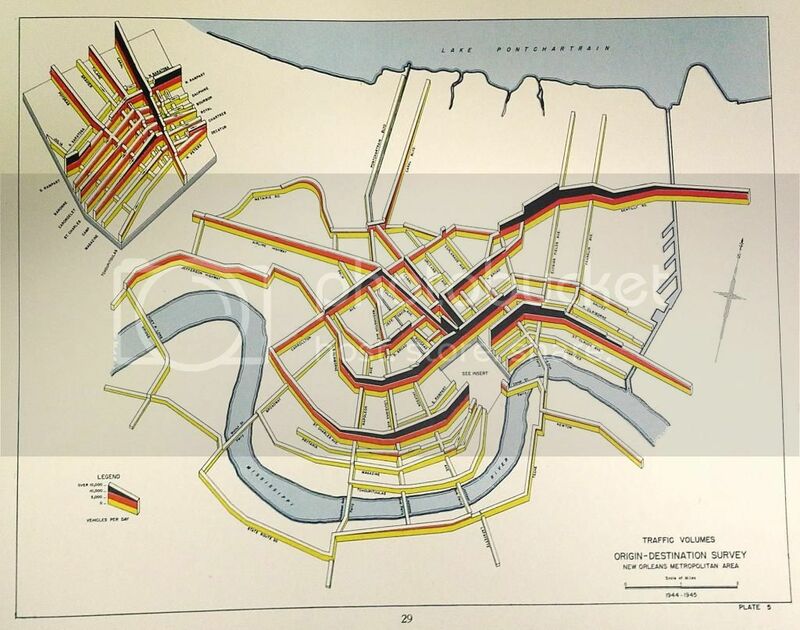 So, how did traffic flow in 1944 New Orleans? 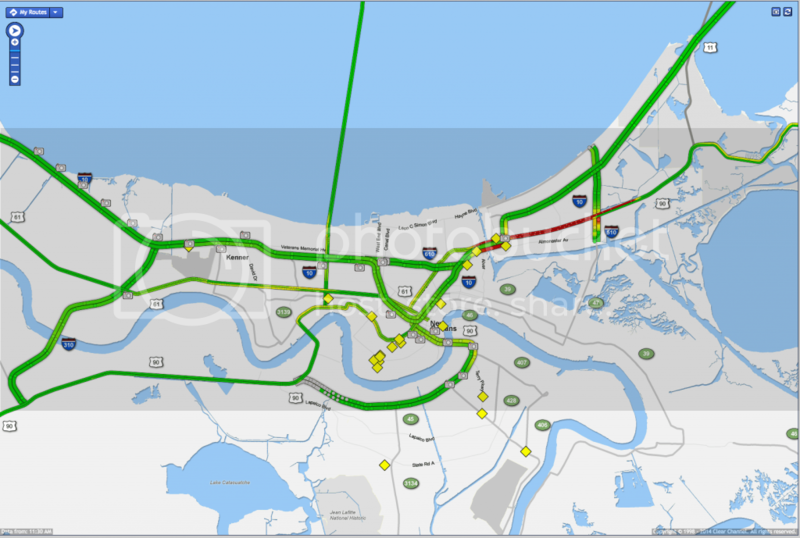 Currently, a section of I-10 called the Claiborne Expressway is on a list of Freeways Without Futures with active proposals seeking its removal. This area was once a thriving commercial area and greenbelt that became decentralized through the bisecting of the neighborhood by the interstate. “Claiborne Avenue: Past, Present, and Future” from Congress for the New Urbanism on Vimeo. Good luck getting around and a here’s a lagniappe of Ringo Star making sure you take the time to stop and smell the roses! 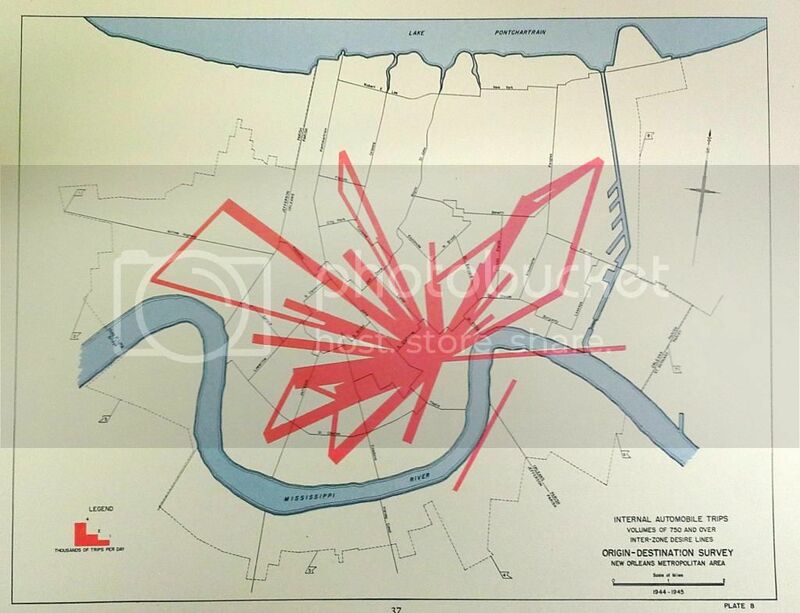 A traffic survey of New Orleans metropolitan area, 1944-1945 is available for viewing at the Special Collections and Archives, Monday – Friday from 9:00 – 4:30. 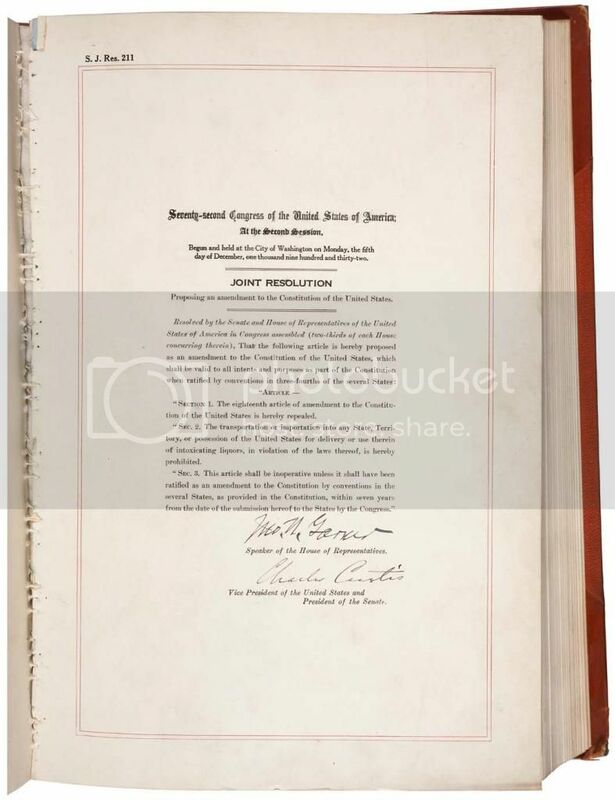 This Saturday, December 6, marks the 81st anniversary of the ratification of the Twenty-first Amendment, which repealed the nationwide prohibition on alcohol. 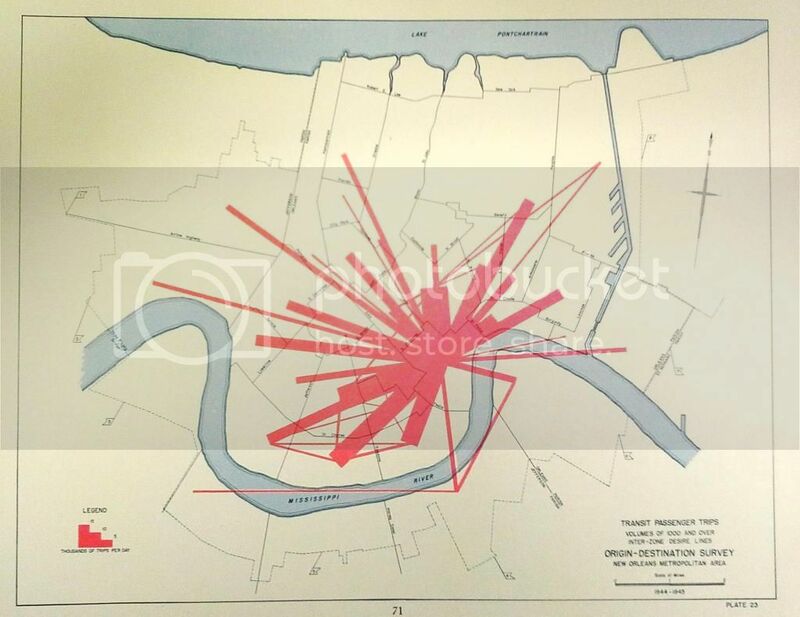 Formal prohibition repeal became effective in New Orleans Tuesday night in a surprisingly unobtrusive manner. A number of private or semi-private “repeal” celebrations were held in homes and clubs, but a glimpse into one of this city’s more popular saloons or larger restaurants Tuesday night would scarcely have indicated that the 13-year drought was just ended. It was scarcely mentioned in barroom conversation that repeal, one of the most widely discussed questions in American during the past few years, had at last become a fact. An occasional, casual, “Well, Joe, It’s legal now,” was all that as usually heard. The nonchalant tone of repeal extended to the Loyola Maroon as well. A review of the archived issues shows that the repeal was not mentioned in the student newspaper at all immediately after it’s passage. In contrast to the calm repeal of prohibition, the passage of the Eighteenth amendment, banning the sale of alcohol in 1919, was a fraught one. Opposing Views: The Battle Among Louisiana’s Urban Newspapers During the Ratification of the Eighteenth Amendment, held in Special Collections and Archives, documents the public battle waged across the state on the issue. Can you guess which side the New Orleans press supported? Keep your eyes open for pop-up cookie parties in the library starting on December 8th! The Loyola Ballet program kicked off its 50th anniversary season last week with its Fall Concert. 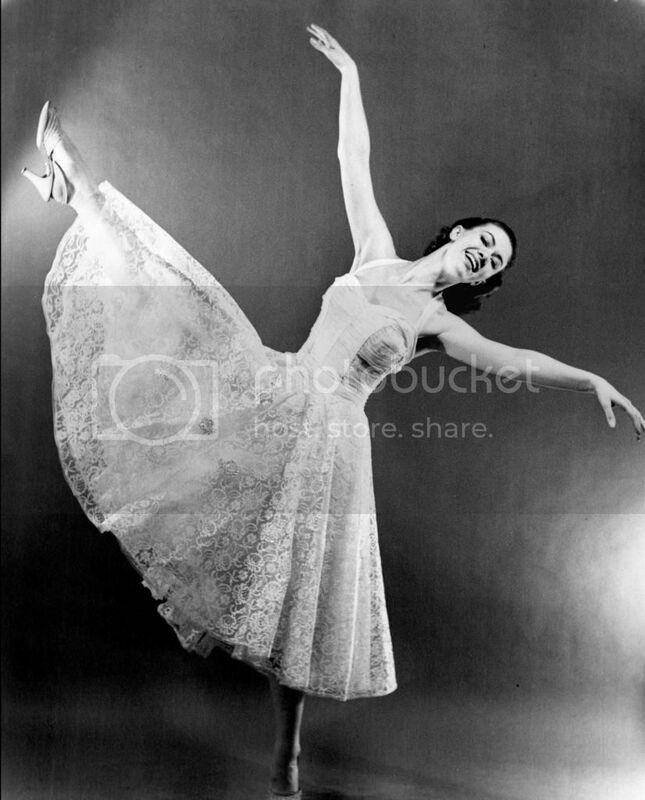 In 1964, famed New Orleans dancer and choreographer Lelia Haller was asked by Loyola to institutionalize a dance program. 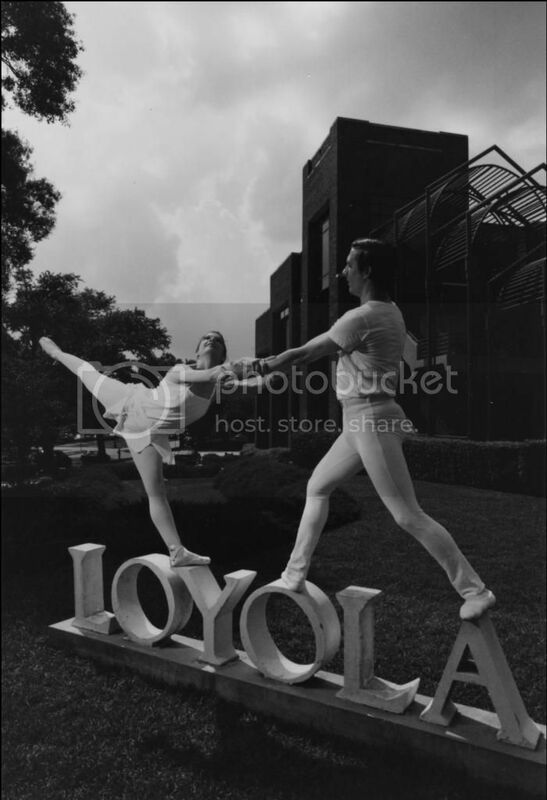 Janet Comer and Rene Toups, the first two Loyola dance/drama majors, graduated in 1973. 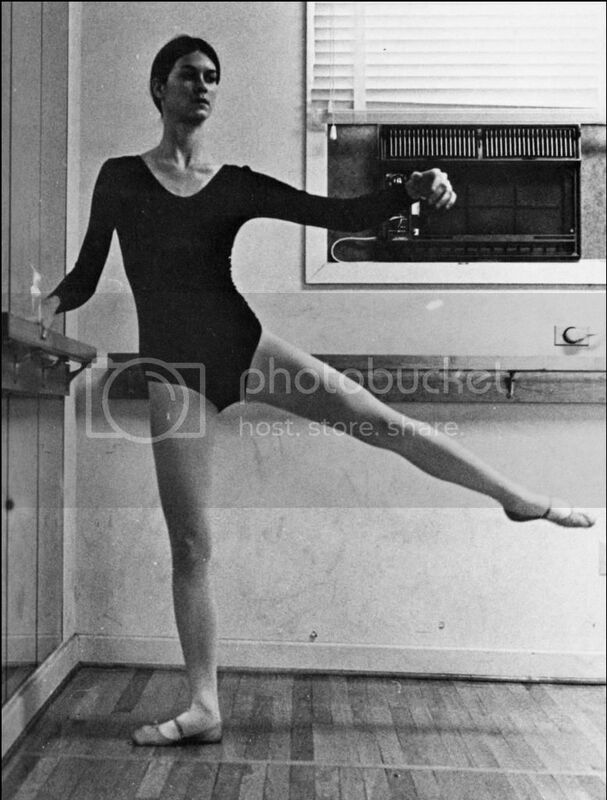 Associate Professor Emerita Gayle Parmelee succeeded Lelia Haller as Director of the Loyola Ballet in 1978. 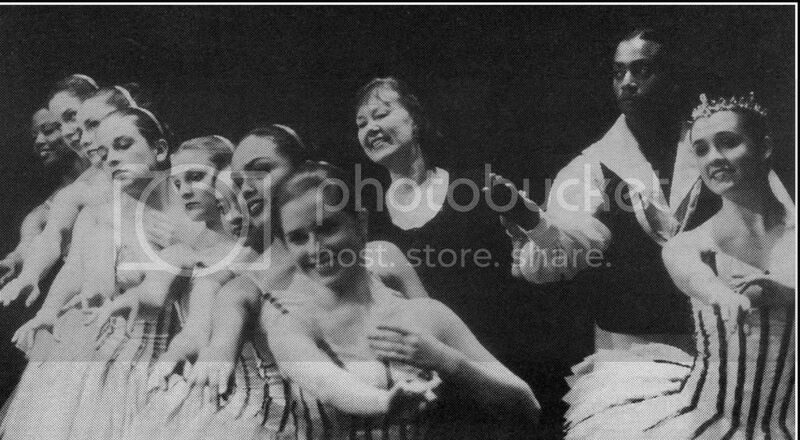 Loyola graduate Laura Zambrano took over direction of the ballet after Gayle Parmelee retired in 1999. Today, it is an award-winning program. 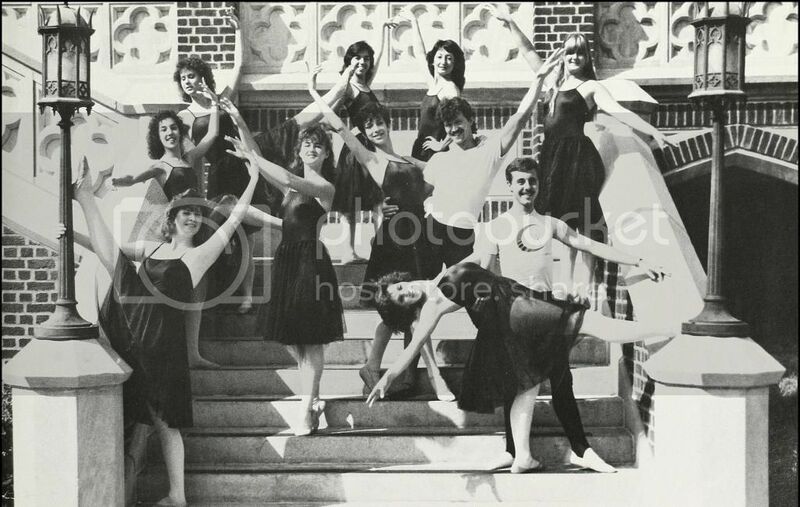 These photos and others can be found in Special Collections & Archives, the Loyola University Photographs Collection, and the digitized Wolf Yearbooks. Fall 2014 Extended Study has come and gone. The Monroe Library’s Extended Study Hours begin this Friday, December 5th. The library will be open continuously starting Friday, December 5th at 7:30 AM and will close Tuesday, December 16th at midnight. Starting at midnight each night, the library will be open only to members of the Loyola community. Please be sure bring a valid Loyola ID in order to enter the building. The front doors will be locked, so use the side entrance near the computer lab wing to access the building. Free coffee and tea will be served starting at midnight! Group study rooms cannot be renewed if there are people on the waiting list. Help us make the library conducive to all types of studying: the first floor is great for group study; the second floor is meant for quiet study (whispers only! ); and the third floor is reserved for silent study. This is the first semester we’ll be open continuously for eleven nights straight! (That’s right, we’re even open on Friday and Saturday night.) Love it? Hate it? “Meh” about it? Let us know what you think via our suggestion box. With only three days left before the Thanksgiving holiday, students rush to finish up assignments, confirm their flights, clean their rooms, and pack their bags in order to return home for the holiday. The Thanksgiving holiday is the 1st opportunity students have to reconnect with their families and hometown friends during the semester. All anyone can think about at the moment is how great it will be to be back at home, eating tons of home cooked food, and taking a break from assignments and studying before we return for the storm of finals. However, Thanksgiving should also be the time in which students reflect on the semester and give thanks. Personally, I am thankful for all of the friendships I have gained this semester, the opportunity to be at such a wonderful university, and the fact that I have survived the semester thus far. Similarly, in the 2008 Maroon, Loyola students were thankful for their friends, campus dinning, and the break from academics. Blog post by Nydia Araya, a Special Collections work study student. Today’s #howtoTuesday is for the time-traveling Louisiana settler–1911, to be exact. Louisiana for the Settler details the agricultural resources available in our state in the early 20th century. The images in this blog post come from a digitized copy of the book from Cornell University hosted by the Hathi Trust. You can also read the book in person in Special Collection & Archives. 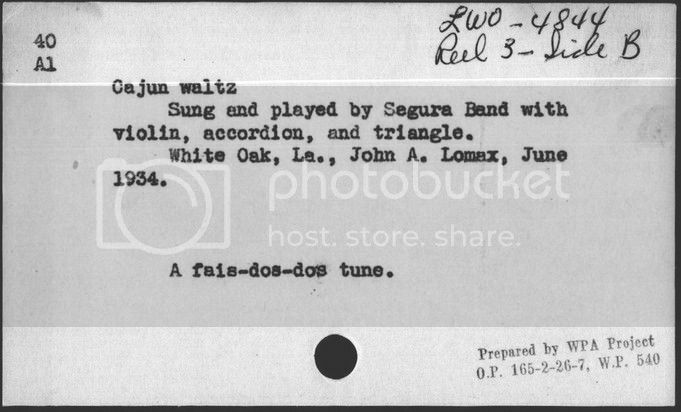 John and Alan Lomax’s musical recordings of their trip to Southern Louisiana in 1934 gathering songs for the Archive of American Folk Song at the Library of Congress have recently been made available online. 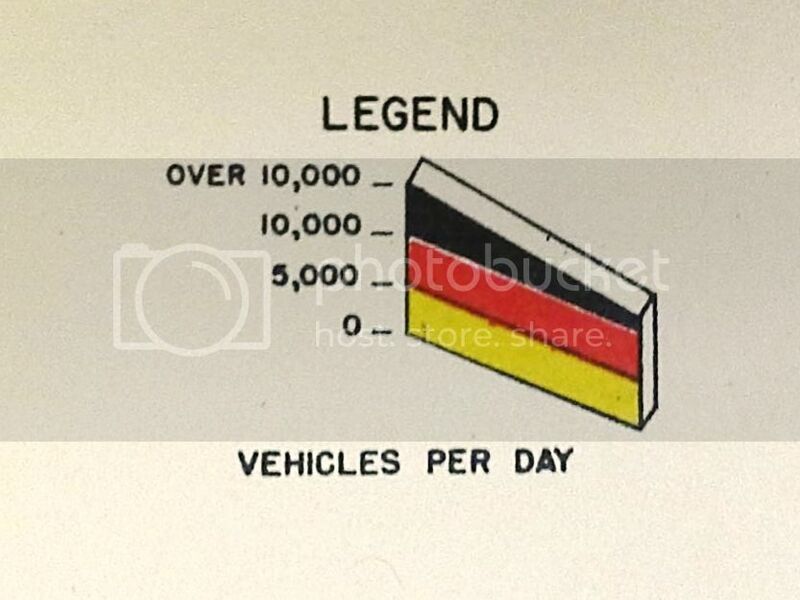 This is a fascinating website that is entertaining as well as a user-friendly research tool. The attractive database is searchable by song indexes, interactive maps, as well as by performers’ names and parishes. 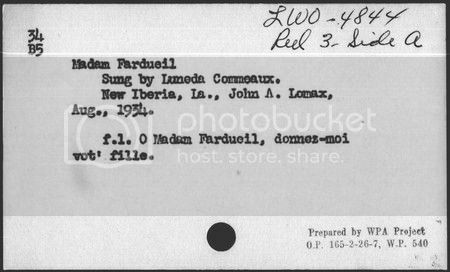 While looking around in our collections for related material, I came across a volume written by Irènè Thérèse Whitfield who collaborated with the Lomaxes during their research in Southern Louisiana. 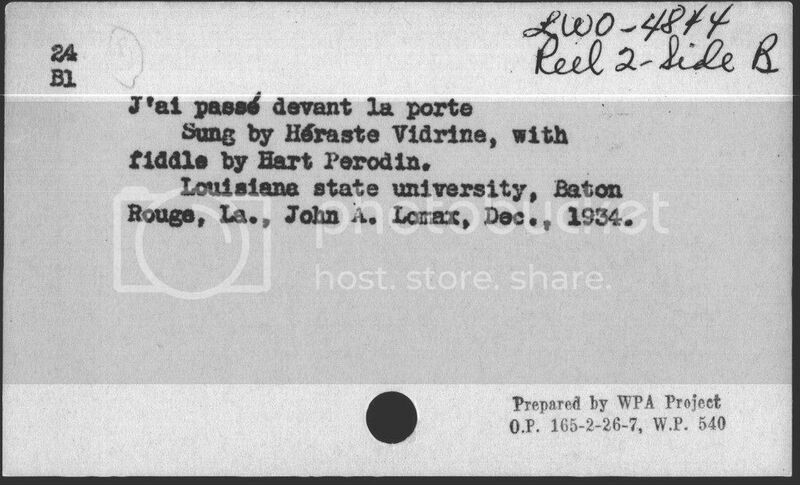 Louisiana French Folk Songs published in 1939 was Irènè Thérèse Whitfield master’s thesis while studying at LSU. 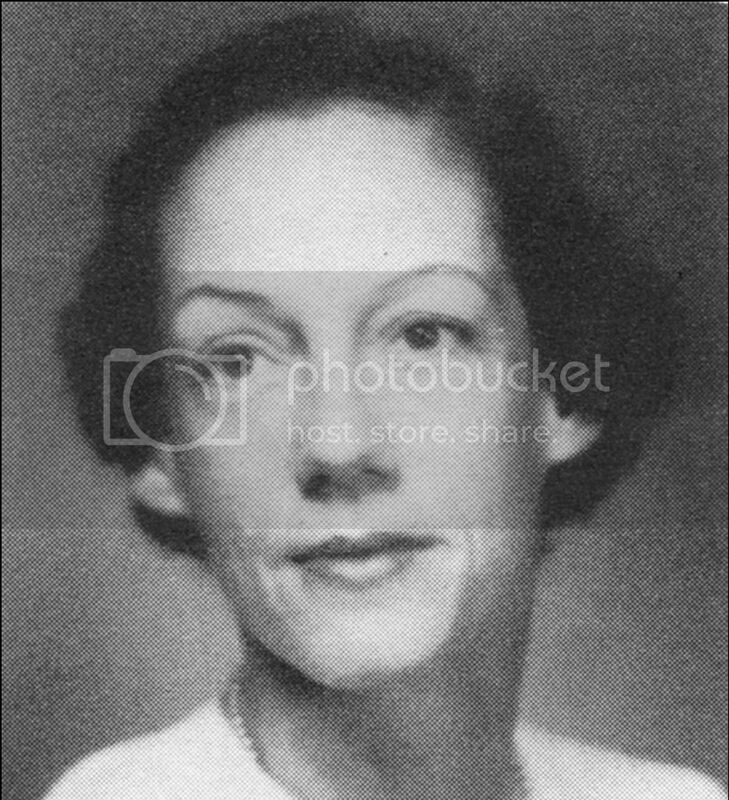 In 1934 during Irene’s research, her dean informed her of the Lomaxes (Alan was only 18 at the time) project and in turn helped establish a reciprocal relationship that benefited everyone involved. This association significantly privileged Whitfield in the successful completion of her groundbreaking book through the use of the sound recordings Lomax had made on a 300-pound portable recorder during their expeditions. While Irene’s local knowledge aided the Lomaxes in their work. 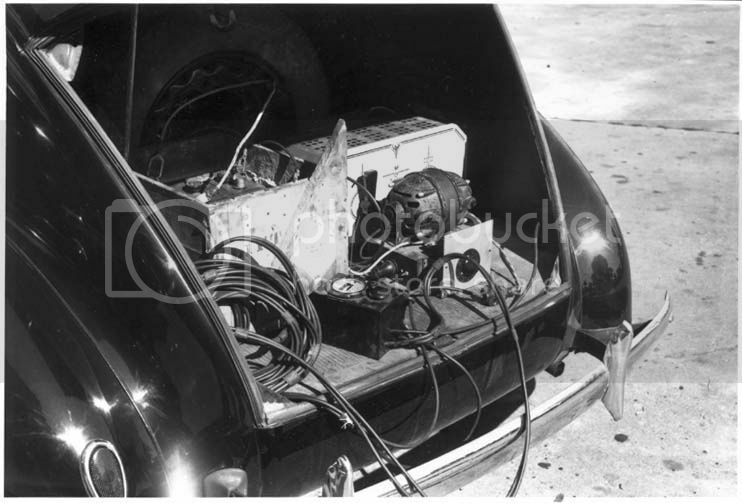 Picture of the recording equipment in the trunk of John Lomax’s car. 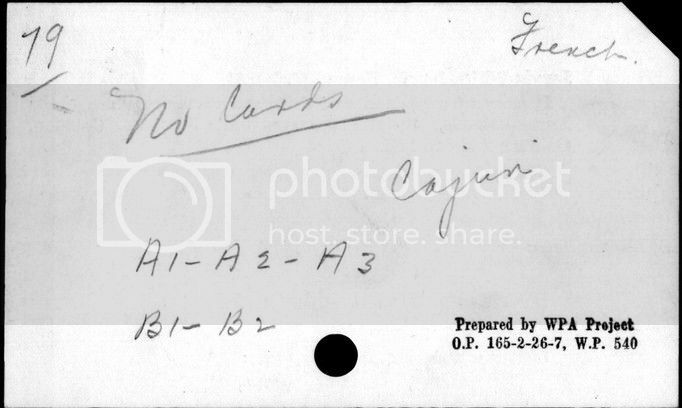 Here are a few selections found on the www.lomax1923.com website as well as in Whitfield’s book (click on the link or the index card to have a listen). Jolie Blonde, from page 81. There is also a film by Alan Lomax about the culture of the bayous of Louisiana that is available for viewing in its entirety on Folkstreams: A National Preserve of Documentary Films about American Roots Cultures called Cajun Country (1991). A new study of the 1934 trip Traditional music in coastal Louisiana: the 1934 Lomax recordings by Joshua Clegg Caffery (who is also the author of www.lomax1934.com/find the time to watch the lecture at the bottom of the page – it’s fascinating) was recently published and will soon be available for checkout from the Monroe Library. You are currently browsing the Library Lagniappe blog archives for the year 2014.